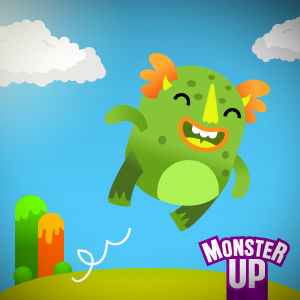 Since we reviewed MonsterUp, the awesome DoodleJump clone for Windows Phone 7, developer Karios Games has continued honing the game, pushing out two new updates. MonsterUp was already a very slick indie title, so how has it improved? Most impressive about these updates is the online high score integration. Score in MonsterUp is actually a measure of height; your high score is the greatest height you have reached. With the new online high score integration, every other MonsterUp player’s best height is clearly marked on-screen. This makes their scores far more tangible than simply viewing them from a Leaderboard. It’s easy to imagine a player trying just a bit harder when he sees the next best score just a little bit above hum on the screen… The Karios Games website has also been fully redesigned to include (among other things) the online scoreboards, further encouraging competition. Follow the jump for exclusive information about Karios Games’ future plans for MonsterUp - and a new game announcement! 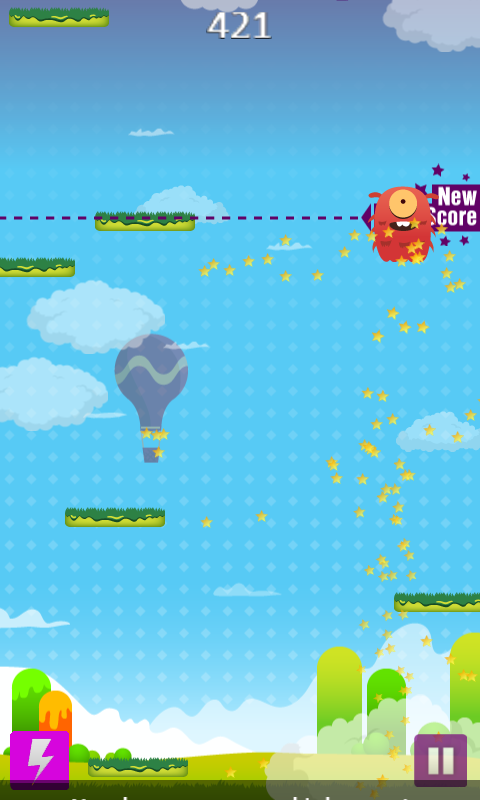 It’s no secret that MonsterUp is heavily inspired by Lima Sky’s popular game, DoodleJump. Until recently, DoodleJump hasn’t been available on the Windows Phone 7 platform, so WP7 gamers looking for a DoodleJump fix had to satisfy themselves with clones like MonsterUp (easily the best such game). Now that DoodleJump is coming to Windows Phone 7 soon, MonsterUp faces significant competition. Is Karios Games prepared for the challenge? “Many MonsterUp gamers say that they believe it is already better than DoodleJump,” creator Marios Karagiannis explains. MonsterUp’s colorful, stylized art can hold its own against DoodleJump; the game also differentiates itself with multiple playable characters, most with unique special powers. It’s also unlikely that DoodleJump’s leaderboards will approach the quality of the high score integration found in MonsterUp. Xbox Live leaderboards on Windows Phone 7 are slow to load, don’t integrate directly into their games, and are limited to friends-only, making them useless to people whose Xbox Live friends don’t own WP7 devices. Then again, DoodleJump is sure to have its own advantages, including numerous unique environments, enemies to defeat, and Xbox Live Achievements. Karagiannis is well-aware that Xbox Live games tend to outsell indie games on the Windows Phone 7 platform. While he develops games because he loves them, not because of profits, he does want to reach a larger audience. Karios Games recently applied to have MonsterUp become an Xbox Live title. That’s an uphill battle, as we’ve heard that only 3 indie games have ever been promoted to Xbox Live titles post-release. Most mobile Xbox Live games so far are ports of successful iOS titles and/or belong to established franchises. What makes a franchise? Sequels! WPCentral has received exclusive first word about Karios Games’ next title, MonsterUp Adventures. Adventures will break free from the DoodleJump mold and become a much more substantial game. The original MonsterUp will be renamed MonsterUp Classic, and it will still receive future updates. The official site for these and all future Karios games will, of course, be Kariosgames.com. It’s always great to see a developer support and refine their games after release, and the prospect of more games with the MonsterUp characters is exciting. You can grab the original MonsterUp or its free trial here (Zune link) on the Marketplace.